A naturally shed deer antler surrounded in stamped sterling silver and accented with a large denim lapis gemstone. This is a show stopper, an eye-catcher, a conversation piece of jewelry to say the least. 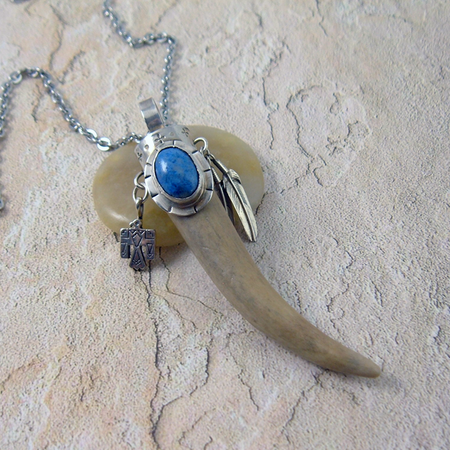 On one side of the antler hangs a silver thunderbird; power and strength. On the other side 2 silver feathers; symbolizes trust, honor, strength, wisdom, power, freedom and many more things. 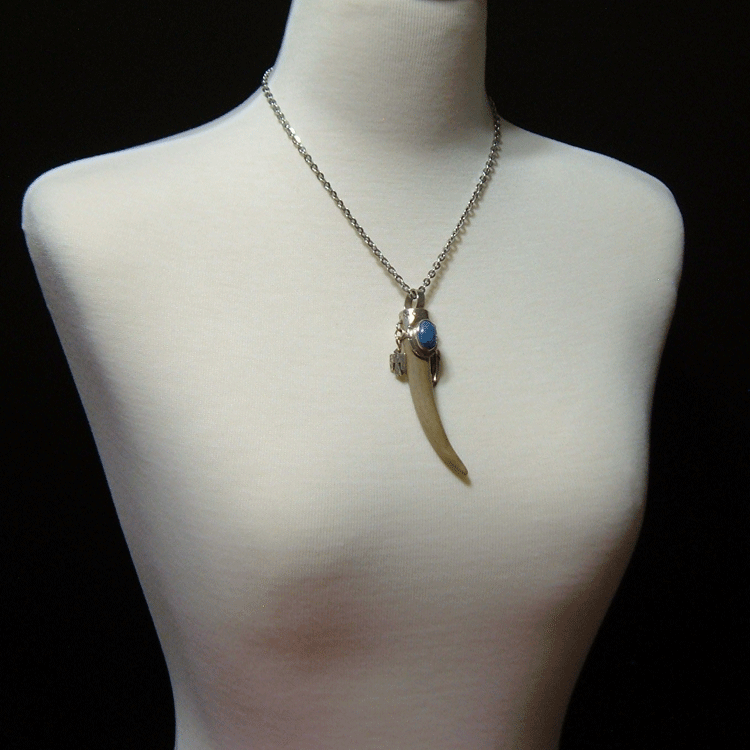 The bail is large in order to accommodate most any type of necklace. This piece would look beautiful on Navajo pearls, a turquoise or other gemstone necklace, bolo leather or deerskin leather. Mix it with multiple necklaces, the possibilities are endless. 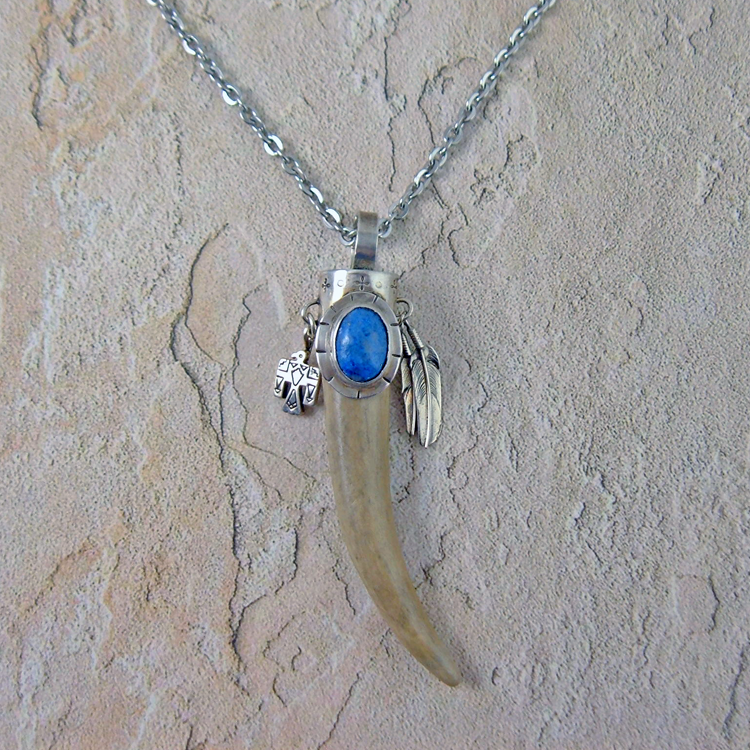 Add this handcrafted, and impressive deer horn necklace to your collection.